Earthquake Prediction: GOES goes gone. I do not remember this reading going below 50nT. Obviously some strong earthquake is due within a few days. 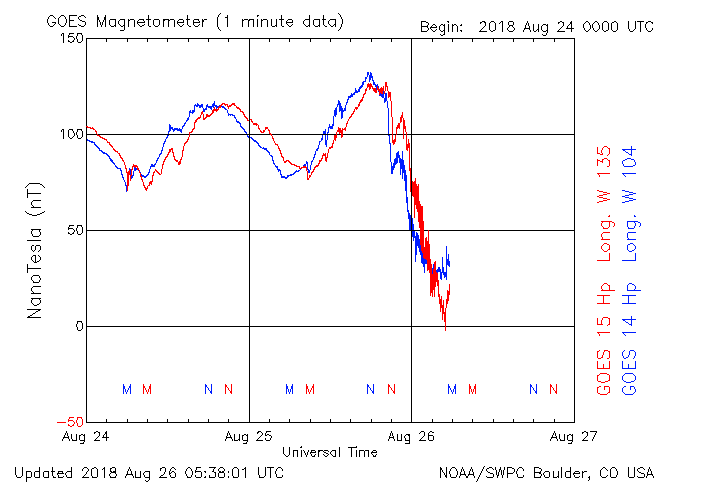 GOES is located in Earth’s geographic equatorial plane, approximately 6.6 Earth radii from the center of Earth, have carried magnetometers to monitor the geomagnetic field and its variations. Typically there are two GOES operational satellites: GOES East, located over the east coast of the U.S. and GOES West, located over the Pacific, just west of the U.S. mainland. At times, though, data are available from more than the two prime operational satellites. 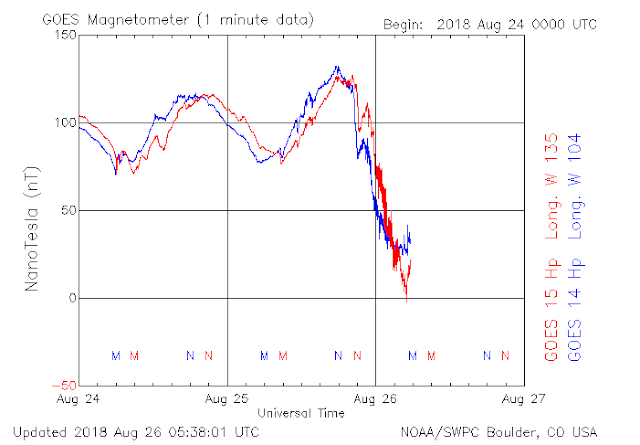 The geomagnetic field measurements are important for interpreting GOES energetic particle measurements and for providing alerts to many customers, specifically for indicating the onset of a geomagnetic storm (known as a sudden storm commencement). 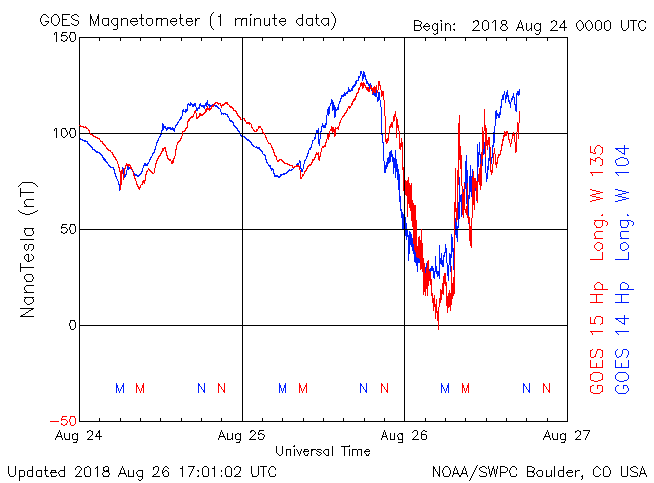 GOES magnetometer data have been used for constructing magnetic field models, and to help forecasters identify the buildup and release of energy in Earth’s magnetosphere that occurs during geomagnetic storms and substorms. The magnetic field measurements can also indicate when the solar wind has pushed the boundary of the magnetosphere, the magnetopause, inside of geosynchronous orbit. Those situations are usually during very disturbed space weather conditions and can be important for spacecraft operations.